An ancient Egyptian handbook of spells has been deciphered for the first time by researchers. The book contains spells, remedies, potions and more, and provides information about ancient practitioners and their methods. The handbook is dated to be about 1,300 years old, and contains love spells, exorcist-kind-of spells and a remedy for something called “black jaundice” a bacterial infection which is still around today and can be fatal. 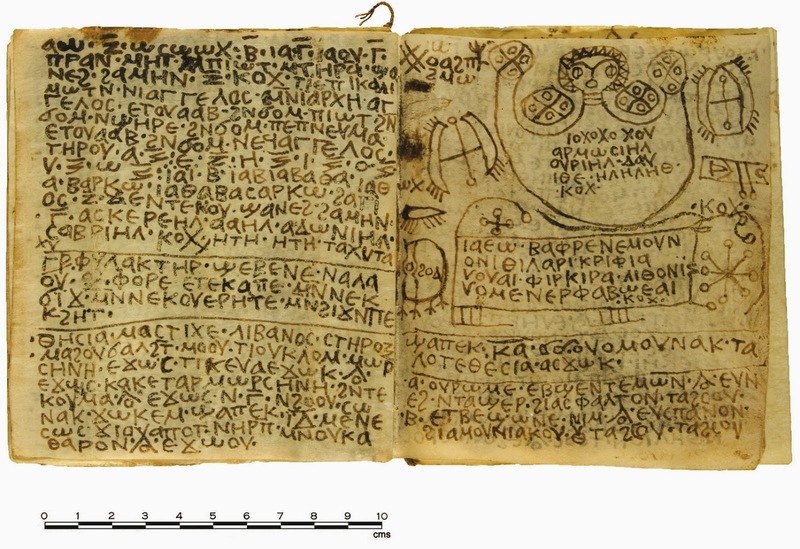 The book is written in Coptic on parchment paper and has been dubbed “The Handbook of Ritual Power”, and is being called a “codex” by researchers. Some of the spells include subjugation, for this one the book says to have two nails and drive them into their doorpost, one on the left, and one on the right… (you get the drift). There is also a reference to Baktiotha. Researchers are still unsure who this was, but believe it was a divine figure. The lines read: “I give thanks to you and I call upon you, the Baktiotha: The great one, who is very trustworthy; the one who is lord over the forty and the nine kinds of serpents”. Researchers believe the codex was written by both the Sethians and Christians of the time, as Sethians were seen as heretics by the Orthodox Church, as some of the codex has more Christian elements as it progresses on. The book was likely used by priests or monks of the time, but researchers are still unsure.